Hey, Sugar Fix fans! You’re in for a special treat this week because we are posting three blogs instead of two! Lucky you! According to National Day Calendar, today is National Book Lovers Day, and if you know Dr. Jessica Emery, then you know how much she truly adores books! Friends have referred to Dr. Emery as a real-life Belle, comparing her to the Disney princess who is known for spending more time perusing books than searching for Prince Charming. Dr. Emery’s collection of colorful novels covers topics including self-improvement, customer service, teamwork, and self-created success. Dr. Emery has all kinds of inspiring books! 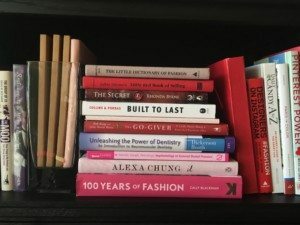 As you may know, each month the Sugar Fix team reads a book that Dr. Emery believes will make us become better team members and provide top-notch service for our guests! 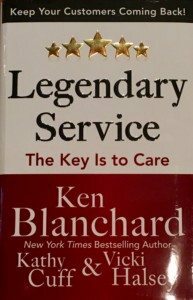 This month, we are reading “Legendary Service: The Key Is to Care,” written by Ken Blanchard. This page-turner is meant for anyone wishing to make a positive impact in the workplace by providing guests with unparalleled service. We are excited to finish this novel and to see the ways it will improve our office! 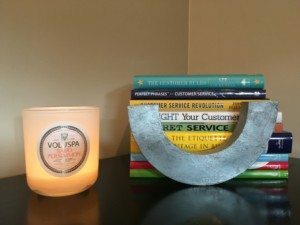 This easy and fun read focuses on providing excellent customer service. When we think of books, we automatically think of smiles! Stories have a way of taking us to another time or place and allow our imaginations to run wild. Dr. Emery loves reading with her kiddos, especially when they’re reading about smiles and sugar bugs! Dr. Emery leaves smiles all around Sugar Fix! Do you have any suggestions for the next novel that our team should read?? Please leave your ideas in a comment below! We would love to hear from you! That’s all for now… As always, be sure to follow our Chicago dental office on Facebook, Instagram, Twitter, and Snapchat (DrJessicaEmery) to stay up-to-date on all the latest happenings at Sugar Fix Dental Loft!